If you have an Apple Watch and got a new iPhone, unpair your Apple Watch from your previous iPhone before you set up your new device. Unpairing automatically backs up your Apple Watch so you can restore it after you pair with a new iPhone. To move your content from an Android phone to your new iPhone, learn what to do. Use the steps in this section to back up your previous device in iCloud and to transfer the backup to your new device. Connect your previous device to the Internet with Wi-Fi. Go to Settings > [your name] > iCloud > iCloud Backup. If you’re using iOS 10.2 or earlier, go to Settings > iCloud > Backup. Stay connected to Wi-Fi until the process finishes. Then use the steps below to transfer your iCloud backup to your new device. Press the Home button when you see the "Hello" screen. Follow steps until you see the Wi-Fi screen. Tap a Wi-Fi network to join. Follow steps until you see the Apps & Data screen, then tap Restore from iCloud Backup > Next. When asked, choose a backup. Make sure it's the correct one by checking the date and size of each. If asked to update to a newer version of iOS, learn what to do. If you purchased iTunes or App Store content using multiple Apple IDs, you'll be asked to sign in to each. If you can’t remember the passwords, you can skip this step by tapping "Don't have an Apple ID or forgot it." * To erase your device, tap Settings > General > Reset > Erase All Content and Settings. This will erase any data that's currently on your device. After you erase it, your device restarts and the "Hello" screen appears. Learn how to restore your Apple Watch from a backup and pair it with your new iPhone. Or if you normally use iTunes to sync content to your iOS device, connect your device to your computer and use iTunes to sync the additional content. 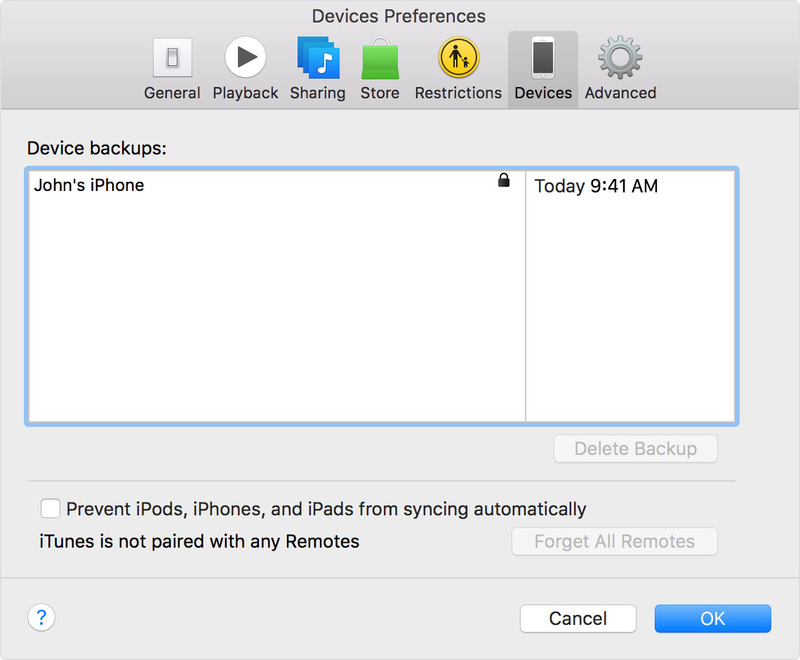 Use the steps in this section to back up your previous device in iTunes and to transfer the backup to your new device. Connect your previous device to your computer. Open iTunes and make sure that you have the latest version. If you want to save Health and Activity data from your iOS device or Apple Watch, you need to encrypt your backup: Select the box called Encrypt [device] backup and make a memorable password. Write down your password and store it somewhere safe, because there's no way to recover your iTunes backups without this password.If you don't need to save Health and Activity data, you can make a backup that isn't encrypted. Just click Back Up Now. After the process completes, make sure that your backup finished successfully in iTunes Preferences > Devices. You should see the name of your device and the date and time that iTunes created the backup. If you encrypted your backup, you should also see beside your device's name. If your new device uses the same kind of SIM card as your previous device, transfer the SIM to your new device. Then use the steps below to transfer your iTunes backup to your new device. Press the Home button when you see the "Hello" screen and follow steps until you see the Apps & Data screen, then tap Restore from iTunes Backup > next. Learn how to restore your Apple Watch from a backup and pair it with your new iPhone. Or if you normally use iTunes to sync content to your iOS device, connect your device to your computer and use iTunes to sync that additional content. 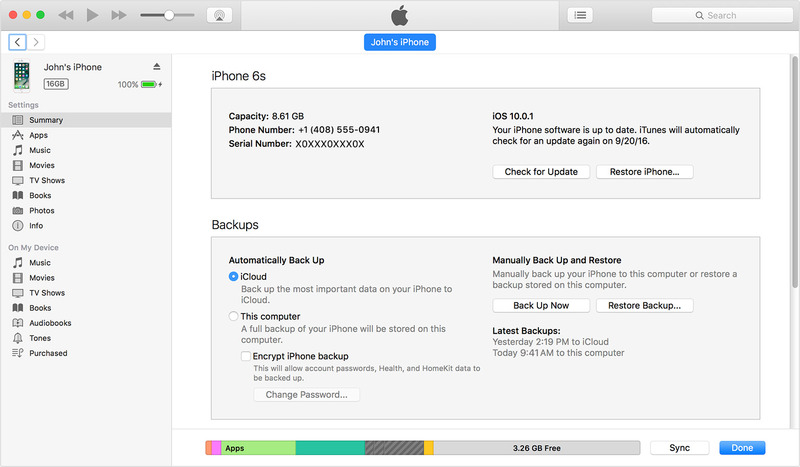 If restoring from a backup requires a newer version of iOS, learn what to do.